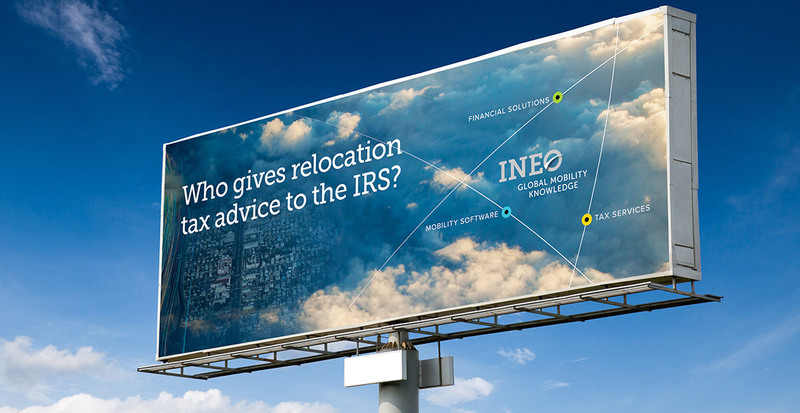 As the first to bring deep tax and technology expertise to the business of relocation services, Ineo is now one of the global mobility industry’s most trusted knowledge sources. Bernhardt Fudyma Design Group, NYC, was charged with the strategic brand development of Ineo to position them as a single source for its full range of services, and develop marketing communications around the ‘how’ and ‘why’ of what it does rather than just the ‘what’ of its offerings. Ineo had historically been structured around three semi-autonomous ‘pillars’, which tended to be marketed based on their highly specialized capabilities, individual services, and focused product features. The problem the company faced was that this kind of “silo’d” marketing failed to showcase the company’s ability to provide a more comprehensive suite of services. 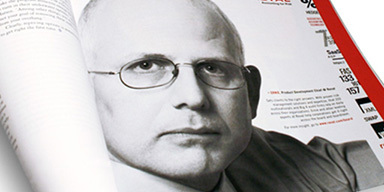 • To create an integrated brand strategy. 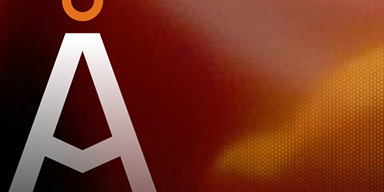 • To reposition and market Ineo as a single source for its full range of services. • To position the company around the “how” and “why” of what it does, rather than just the “what” of its offerings. • To tell the singular and specific Ineo story: the one that distinctively positions the company in its industry space. In order to fully understand Ineo’s business challenges we looked both inside and outside the company for insight. First we performed a comprehensive competitive landscape review. Next we did in-depth interviews with key internal stakeholders and as many clients. Using insights we gleaned from this research, we began our strategic brand development. As a critical part of the new brand’s visual DNA we created a graphic representation of ‘latitude/longitude’ coordinates, each line representing one of Ineo’s three core service areas, and positioned their logo in the center of where these services intersect. We developed a new positioning statement that embodies Ineo’s core messages, value proposition, strategic thinking, and a call to action. We also created a graphic representation of ‘latitude/longitude’ coordinates, with each line representing one of Ineo’s three core service areas, and positioned their logo in the center of where these services intersect. 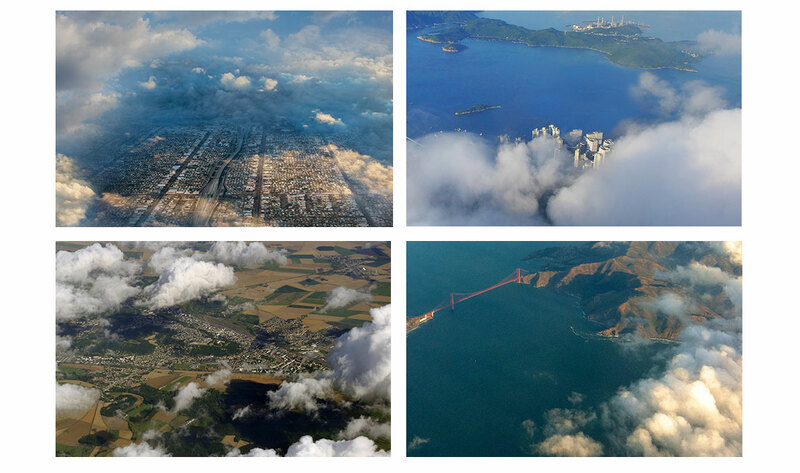 The brand’s core imagery consists of a palette of aerial photographs of various cities around the world. The use of partial cloud cover – with a distinct clearing – represents the clarity that Ineo brings to their clients’ global mobility challenges. 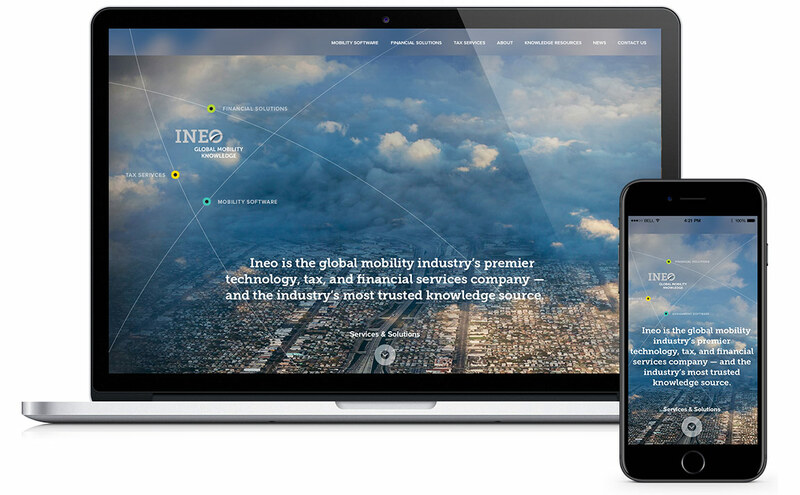 We designed and created a new, fully responsive website which pulled together all of our strategic and creative recommendations and dynamically reflected Ineo’s central brand identity. 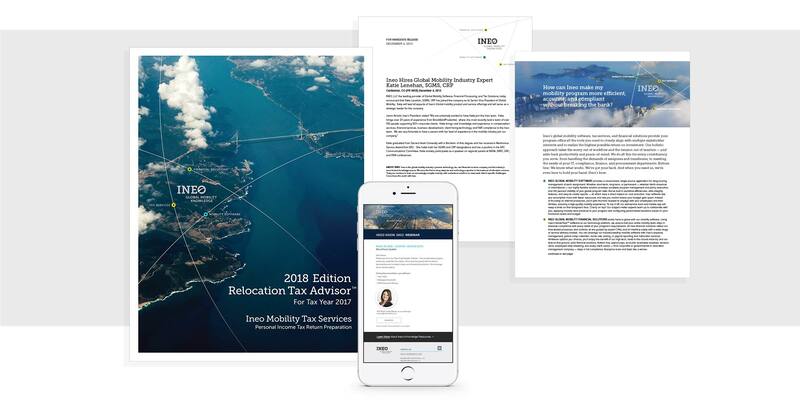 The new branding was also applied to numerous other marketing components, including the design of their annual Tax Guide, mobility issues/solution sheets, press releases and email newsletter templates. Using information about who and how various entities use their services, we also proposed an advertising campaign suitable to various environments and formats, from online banners to outdoor applications. Finally, we created comprehensive guidelines outlining the proper application of fonts, colors and overall implementation of the new visual branding system. When Ineo first started looking for a creative partner, we interviewed several firms. Bernhardt Fudyma quickly rose to the top. We were impressed with both their depth of experience and their strong desire to work collaboratively and to create a successful outcome. Our business is complex and not easily understood. The BFDG team took the time to really dig in and understand what we do and how we do it. That wasn’t easy. They were patient, innovative, and committed to to getting the job done—and done well. The result was not only a powerful external transformation of our positioning and branding in the market as seen by our clients and prospects, but also, to our surprise, an internal company transformation as well. As a result of BFDG’s work, our entire team was energized and motivated. We are confident we could not have found a better partner for this critical strategic and creative process, and we extend our highest recommendations of the BFDG team.